Moving services, storage services ads in Melbourne. Thank you for visiting our free advertising website Moving services, storage services, Melbourne section. We provide high response free classifieds and free advertisement. 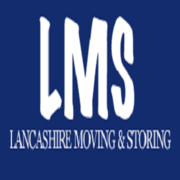 Use our online free Moving services, storage services classifieds placement system to find, list, offer Moving services, storage services online! 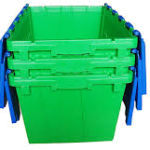 Mister Mover is the one of the pioneer supplier and distributor in Hoppers Crossing, Truganina, Werribee, Brooklyn, Laverton, Braybrook and Melbourne providing this Eco moving boxes for Residential to Commercial customers. Get a free quote : https://mistermover.com.au/get-a-free-quote/. 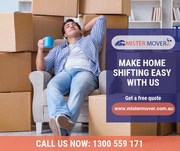 If you looking to move one state to another state in Melbourne without hassling then call to best budget removalists in Melbourne.Get a free and affordable quote from Mister mover now. https://mistermover.com.au/get-a-free-quote/#. PR Coolstores is one of the best notch companies dealing with cold stores. We are installing Cold Storage in Melbourne for fish, vegetable, fruit, dairy, and meat cold stores. We offer you an end-to-end service from manufacturing to cold storage installation. Are you need more information about cold storage, feel free call us on (03) 8742 3618 today or visit our website http://prcoolstores. 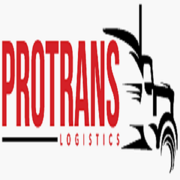 At Prestige Moving, our goal is to bring you affordable, stress-free moving services of the highest quality. 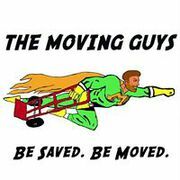 Our friendly team of Melbourne removalists will help you achieve a fast, safe and efficient relocation. Our focus is to make your move easy, and there is no job too big or small for our team to handle. Clearing merchandise through customs barriers is known as customs clearance. A customs broker helps during this clearance as different countries have different laws and order, making the process of customs clearance extremely complex. The brokerage charge for this service is customs brokerage. This service is generally time sensitive and can be urgent. When you need honest, hardworking, reliable and affordable melbourne movers, you need the KAHLON MOVERS.Call Kahlon Movers on: +61 469913334 or visit: http://www.kahlonmovers.com.au. CBD Movers is Australia’s Best furniture movers in Melbourne, Sydney, Perth, Brisbane and Adelaide with a huge network. They provide innovative, quality and professional removal services. If you are happy or satisfied with their services, then you can read and write more CBD Movers Reviews at their website. Kd Packers & Movers - Affordable House Shifting Services.? We are Verified & licensed packers and movers Services in Melbourne, Cheap House Movers services.? Fast and safe service? · High packing standard? · 24/7 customer service? · Get free Quotes today? 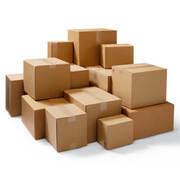 Services: ?Packers and Movers Services Melbourne, Relocation Services in Australia, Unpacking Services in Melbourne, Melbourne Removalist, Geelong Removalists, Corporate Services in Victoria For More Info. Australia free ads for Moving services, storage services, Melbourne, Moving services, storage services free ads Melbourne, Moving services, storage services for sale Melbourne, Moving services, storage services to buy in Melbourne. 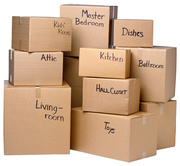 Find on this page free classifieds for Moving services, storage services in Melbourne. This listing includes classifieds for sale and to buy in Melbourne. FREEADSAustralia Melbourne offers you a platform to post free advertisements or classifieds for Moving services, storage services in Melbourne. FREEADSAustralia helps you search, find buy, sell, rent or hire in various categories like apartments, goods for sale, local services, cars , jobs and many more in Melbourne. If you posted an advertisement in category Moving services, storage services of FREEADSAustralia Melbourne before please use Edit my ads button to change or cancel your ad. 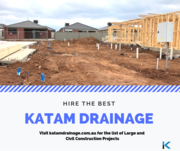 Moving services, storage services Melbourne ads Melbourne, Moving services, storage services classifieds Melbourne, Moving services, storage services free ads Melbourne, ads for sale Melbourne, ads to buy Melbourne, FREEADSAustralia. Find here ads for sale, to buy and rent in Melbourne. Goods for sale in Melbourne, vehicles for sale in Melbourne, Melbourne real estate for sale, Melbourne property for sale, property for rent in Melbourne, business ads in Melbourne, Melbourne business classifieds, services in Melbourne, Melbourne services ads, jobs in Melbourne, pets for sale in Melbourne, Melbourne dating, Melbourne cars for sale.